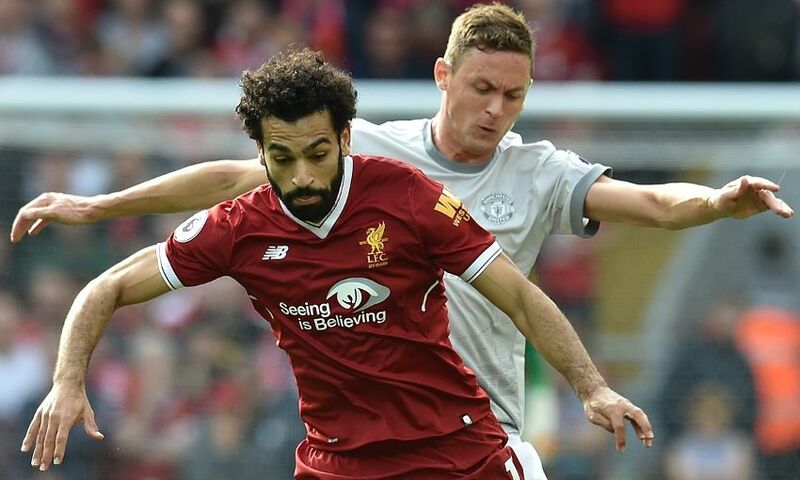 Liverpool were held to a goalless draw by Manchester United at Anfield on Saturday lunchtime as they resumed Premier League action. The Reds dominated the game for long stretches, but couldn’t muster the breakthrough against a stubborn visiting rearguard. Joel Matip went closest in the first half when he was denied at point-blank range by a stunning David de Gea save, while Emre Can spurned a good opportunity just after the break when he scooped over the bar. On the day Anfield paid tribute to Kenny Dalglish ahead of kick-off with the unveiling of the stand renamed in his honour, the game started at a frantic pace with both sides trying to assert an early foothold. The first noticeable chance came in the seventh minute when Georginio Wijnaldum slotted the ball through to Roberto Firmino just inside the box, but the striker couldn’t get enough power on his effort to beat De Gea. Wijnaldum then tested the United goalkeeper from just outside the area but again the Spaniard gathered the ball. The Reds carved out a succession of openings as they looked to grab an early lead; Mohamed Salah was looking to get into the United third, whilst Philippe Coutinho forced a terrific tackle from Antonio Valencia to stop him breaking into the area. The chance of the half came with around 10 minutes remaining. Firmino used great trickery to beat Valencia on the left, with the Brazilian cutting the ball back to Matip, who forced a tremendous save from De Gea – with Salah’s rebounded effort going just wide of the left post. United then had an opportunity of their own to take the lead when Romelu Lukaku was fed through by Anthony Martial; however, Simon Mignolet quickly ran out to his international colleague and blocked the effort on goal as the teams went into half-time goalless. Liverpool, attacking towards the Kop, started the second half on the front foot with a plethora of balls into the United box and a Firmino effort going just wide of the United goal. Minutes later a deflected Coutinho blast then fell to Wijnaldum, but the midfielder couldn’t keep his volley down. In the 56th minute Joe Gomez whipped in a teasing ball to the front post which Can met but was unable to guide on target as it dropped over his shoulder six yards out. Then, with time ticking away, Firmino found a pocket of space in the United area. The forward controlled the ball with precision but was unable to guide his lofted cross onto the head of Salah at the opposite post. Liverpool continued to force the initiative until the conclusion – both Dejan Lovren and Matip headed over from corners in stoppage-time – but were unable to breach United’s defence at Anfield as the points were shared.